In 2013, the State of Maine was awarded one of six State Innovation Model (SIM) Testing Grants sponsored by the Centers of Medicare and Medicaid Services (CMS). HealthInfoNet is one of three subcontractors to the State along with the Maine Health Management Coalition, HealthInfoNet and Maine Quality Counts. HealthInfoNet provides leadership support for the Maine SIM Data Infrastructure Subcommitte, which advises on SIM activities, related to the health information technology improvements. MaineCare Notification Project – HealthInfoNet replaced faxes with automated secure email notifications to MaineCare and participating provider care managers when MaineCare patients are admitted to Emergency Departments and Inpatient Settings. The new electronic process using the HIE created a more efficient workflow for both the hospital and MaineCare staff while supporting MaineCare member’s best possible care. Behavioral Health HIT Reimbursement Initiative – Using grant funding, HealthInfoNet is provides direct financial support to 20 behavioral health organizations to support adoption of health information technology, including the HIE, to help better integrate “general medical” and “behavioral” health data. HIN also supports these organizations in performing quality measurement. View past webinars. Patient Portal-HIE Blue Button Pilot – HealthInfoNet partnered with Eastern Maine Health Systems to pilot providing patients with access to their statewide HIE record. 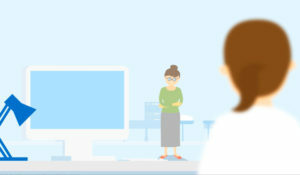 The pilot site connected their current patient portal to the HIE to allow patients to download a medical record summary document from the HIE known as the “Continuity of Care Document” (CCD). MaineCare Clinical Dashboard – HealthInfoNet will provide a “Clinical Dashboard” to MaineCare using their member’s information available in the Health Information Exchange (HIE). The goal is to make the HIE clinical data available to MaineCare as a payer to support program and policy development related to population health efforts. Supporting MaineCare population health initiatives by providing a clinical dashboard of member health care utilization captured in the HIE. This will include working with MaineCare to include discrete MaineCare medication prescription data in the HIE.